PVC insulated and protective covered power cable,whose electirc property and chemical stability are excellent,is simple in structure and convenient in application.This manufactu is applicable to the transmission and supply line,of which the AC rated voltage Uo/U iS 0.6/1kV or lower level. The flame-retardant power cable is not easily to catch fire and it can confine the fire in some limited area,therefore the cable is applicable to the places where the density of cable laying is high,such as generating station,subway,tunnel,high-rise building,large industrial and mining establishment,oil field,coal mine and so on. 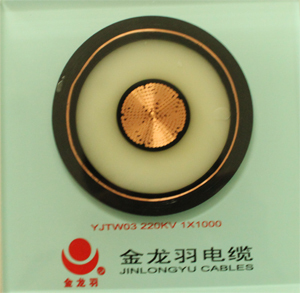 The fire-resistant power cable is ,beside the power transmission under normal condition,can continue operating normally for some time when it catches fire,so it is applicable to the places which is concerned to the fire protection such as nuke,subway,tunnel,high-rise building and so on. This manufacture is produced according to the standard GB/T 12706.1-2008 0r IEC 60502,and we can also manufacture it to meet your needs. The flame-retardant power cable,besides the foregoing standard,its fire retardant is divided in to4 types,A,B, C and D,according to the standard GB/T 18380.3-2008 0r IEC 60332-3,of which A performances best.You can adopt anyone to meet you need. The fire performance of the fire-resistant power cable is according to the standard GB/T 19216.21-2003.